CNC Yuri's Revenge is way better than Generals. "CNCnet" has online multiplayer back online again too! In Battlefield 1942 Desert Combat we got to drive the Technical's around. Follow the breadcrumbs: Electronic Arts bought both companies behind those two games and subsequently ruined them. Traditionally Toyota Hilux are the truck of choice for "Technical" conversions. I guess there just wasnt enough going around to fill all of the CIA's orders. Or they had a ship full of those AA guns they needed some bigger pickups to mount em on. This looks to be a long night with what may be going on in Syria and hopefully some big news breaking very soon. Dude, Mr. 2016, who the F are you to speak for anyone? People can say whatever the f they want. So go pray to Trump and buzz off with that chip on your shoulder. Darlynton Adegor, a second-year student at the University of Arkansas Clinton School of Public Service, is using a combination of existing legal knowledge with the Clinton School’s curriculum for community engagement to have a real impact on a major international crisis. A graduate of Lagos State University and the Nigerian Law School, Adegor has been working with the Washington D.C.-based Syrian Emergency Task Force since June 2017. 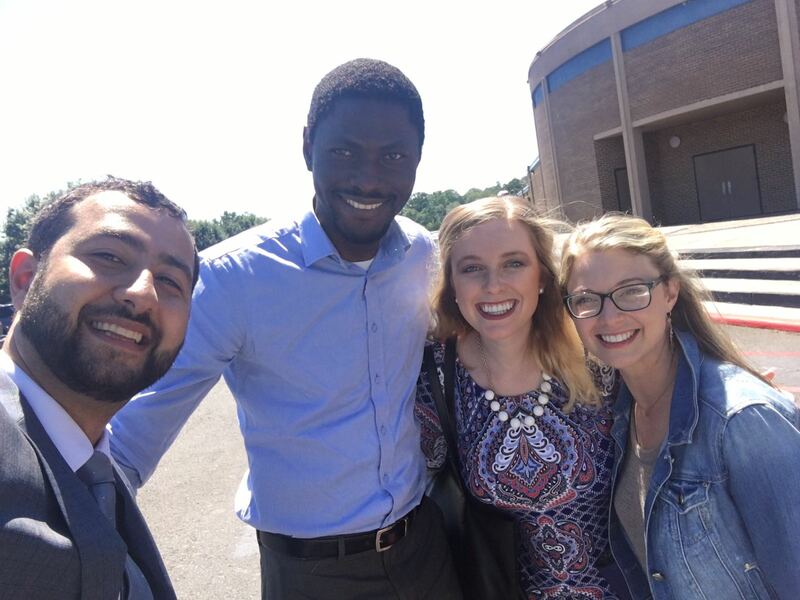 Last summer, seeking opportunities to fulfill his International Public Service Project in Arkansas, Adegor received an email about SETF, who has an office in Little Rock, and was “taken aback” by the scope of its initiatives. Adegor first met with Natalie Larrison, SETF’s director of outreach, to discuss the SETF’s mission, vision, and ongoing programs. This isn't about you and frankly we have more important things to do that to have to continually respond to you. Divide and conquer tatics at all levels. Wonder how they can tell who voted for who. Unless of course none of us matter. Wonder how they can tell who voted for who. by looking at his posting history, for one?